During the first two decades of Hungary’s post-communist history, the country was a young but stable democracy, and a role-model of successful transition from authoritarianism to democracy. Today, Prime Minister Viktor Orbán has been in power almost a decade, a period during which Hungary has undergone dramatic changes. Too many posts in this blog have been devoted to this, see e.g. : https://humanrightsdefenders.blog/tag/hungary/. 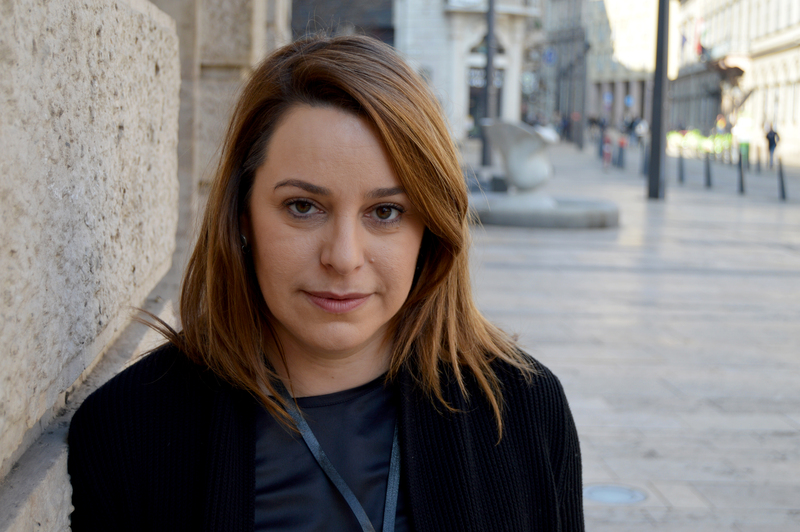 ….But despite this climate, human rights defenders and human rights organisations continue to challenge state policies and propaganda, and the public support for their activities is growing. On 12 February, 2019 the Stockholm-based NGO Civil Rights Defenders reports that its Human Rights Defender of the Month (January 2018) Yared Hailemariam is back in Ethiopia in the hope of contributing to the change. Yared Hailemariam is the Executive Director of the Association for Human Rights in Ethiopia (AHRE), a non-governmental and non-partisan organisation based in Brussels and Geneva, founded by activists that fled the country and other members of the Ethiopian diaspora. He served as a lead investigator at the Ethiopia Human Rights Council (HRCO) for seven years before being forced into exile in the aftermath of the heavily contested 2005 election in the country. The post-2005 period saw a massive crackdown on civil society through the enactment of draconian legislation, and the implementation of two states of emergency that allowed for the brutal repression of thousands of demonstrators, journalists, and HRDs. During this time, AHRE, based in exile, focused on advocacy, protection and capacity-building for Ethiopian HRDs, and producing research highlighting the deteriorating situation in Ethiopia. Hailemariam hopes to help rebuild civil society in Ethiopia by bringing together HRDs returning from exile with the few CSOs that were able to remain in the country and weather the storm. He says that while the new reforms are positive, these changes must trickle down to institutions and the general citizenry for them to be real and long lasting. He acknowledges that the real struggle will be to rebuild the capacity of a civil society sector decimated by brain drain and financial insecurity. However, he hopes that with a bit of tenacity and good networking, HRDs in the country can come together before the planned 2020 elections and engage in civic education to prepare Ethiopia for a brighter, more democratic future. 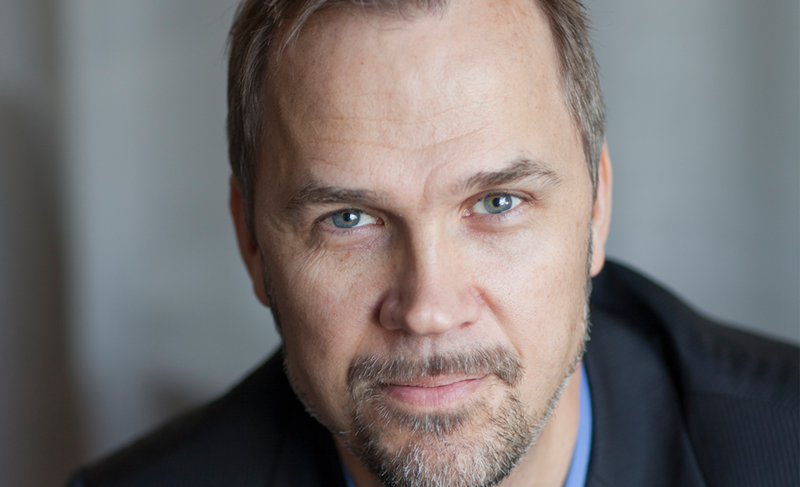 Already on 9 March 2018 Robert Hårdh was succeeded as Executive Director of the Stockholm-based NGO Civil Rights Defenders [see e.g. : https://humanrightsdefenders.blog/tag/civil-rights-defenders/] by Anders Pettersson. An oversight on my part that I am glad to correct. Anders has had a variety of international jobs of which the latest was head of Ecpat Sweden. FIFA expresses concern about Chechen human rights defender, but to whom? In less than a month, millions of people will turn their eyes upon Russia as the 2018 Football World Cup kicks off. On 23 May 2018, the NGO Civil Rights Defenders published FIFA’s reply to an open letter it and and 13 other international and Russian human rights groups sent to FIFA, urging the association to start engaging with the Russian authorities on the human rights crisis in Chechnya, especially the case of Oyub Titiev [see also: https://humanrightsdefenders.blog/2018/01/15/chechen-human-rights-defender-oyub-titiev-arrested-on-trumped-up-charges/]. 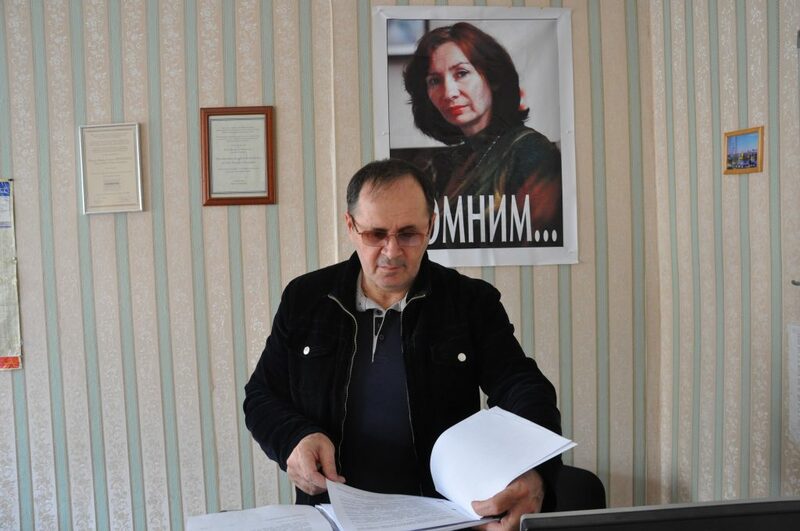 Oyub Titiev in Memorial’s local office in Grozny, Chechnya. In the background a portrait of his murdered colleague, Natalia Estemirova. This is quite a change from the traditional view that politics and sport have nothing to do with each other, but it does not say WHAT and with WHOM in Russia FIFA has taken up the case. That will probably remain confidential. A VIRTUAL PRIVATE NETWORK (VPN), that core privacy tool that encrypts your internet traffic and bounces it through a faraway server, has always presented a paradox: Sure, it helps you hide from some forms of surveillance, like your internet service provider’s snooping and eavesdroppers on your local network. But it leaves you vulnerable to a different, equally powerful spy: Whoever controls the VPN server you’re routing all your traffic through. To help solve that quagmire, Jigsaw, the Alphabet-owned Google sibling that serves as a human rights-focused tech incubator, will now offer VPN software that you can easily set up on your own server—or at least, one you set up yourself, and control in the cloud. 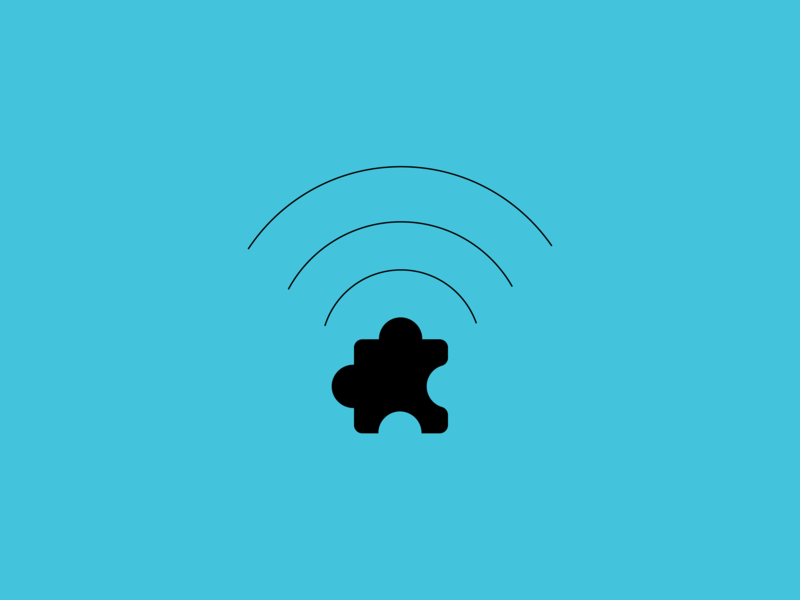 And unlike older homebrew VPN code, Jigsaw says it’s focused on making the setup and hosting of that server simple enough that even small, less savvy organizations or even individual users can do it in minutes. Jigsaw says that the free DIY proxy software, called Outline, aims to provide an alternative to, on the one hand, stronger anonymity tools like Tor that slow down web browsing by bouncing connections through multiple encrypted hops around the world and, on the other hand, commercial VPNs that can be expensive, and also put users’ private information and internet history at risk. ..A Swedish NGO, Civil Rights Defenders, has been testing Outline since last fall with the group of sensitive internet users it works to protect, who include journalists, lawyers, human rights defenders and LGBT communities in 18 repressive regimes around the world. ..
On 24 January the Stockholm-based NGO Civil Rights Defender announced that human rights defender Edmund Yakani from South Sudan is recipient of the Civil Rights Defender of the Year Award 2017. Edmund Yakani is the Executive Director of human rights organisation Community Empowerment for Progress Organisation (CEPO), based in South Sudan’s capital Juba. He is among the most tenacious and vocal voices in the country when it comes to defending and promoting human rights, democratic transition and justice. He particularly stands out in his effort to ensure respect for rule of law and justice, and the inclusion of civil society in the ongoing peace talks. “For me, this award symbolises motivation and recognition of the efforts and hard work to protect human rights defenders in South Sudan. This is a call for more efforts to engage in further protection for human rights defenders and their families”, said Edmund Yakani to Civil Rights Defenders. South Sudan, the youngest country in the world, gained its independence as recent as in July 2011. By many social, economic and political standards, the country is among the poorest in the world. Respect for civil and political rights has never been established to the level its citizens wished for at independence. The situation for human rights worsened following the outbreak of inter-ethnic and armed conflicts in 2013. 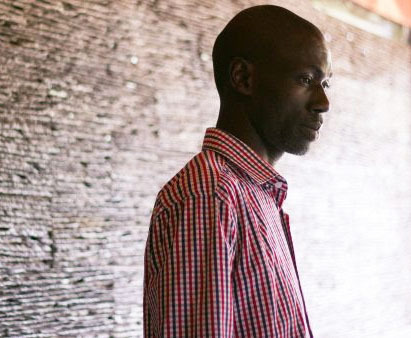 Since then, human rights defenders and outspoken critics have been increasingly targeted by the government, security forces and other armed actors, and Edmund Yakani has himself been threatened on several occasions due to his work. “State authorities see human rights work as part of a politically motivated agenda against them, and hence human rights defenders are seen as enemies of the state. In addition, the rule of law is compromised to the level that impunity has become a norm in the South Sudanese society”, said Edmund Yakani. “Edmund Yakani has, on a countless number of occasions, demonstrated his commitment in promoting genuine dialogue and efforts among social and political actors. He is active in calling for a greater inclusion of civil society in the peace talks. His contribution in promoting human rights and its defenders has been of paramount importance, in particular as he is working in the context of weak institutions and ongoing conflict. I am proud to announce him as this year’s recipient of the Civil Rights Defender of the Year Award”, said Robert Hårdh, Executive Director of Civil Rights Defenders. On 7 April 2016 Azerbaijan human rights lawyer Intigam Aliyev was awarded the Civil Rights Defender of the Year Award in Stockholm by the NGO Civil Rights Defender. Released in March (see: https://thoolen.wordpress.com/2016/03/28/human-rights-defender-intigam-aliyev-freed-in-azerbaijan-today/) his son Najmin Kamil came to accept the award and said, “My father dedicated his tireless and selfless work to the promotion and protection of human rights, and sacrificed his freedom for the freedom of others – just because it is important for him to stand strong for what he believes in, no matter the circumstances”.